(CNN) Fresh accusations of Chinese influence-peddling have emerged in Australia weeks before a national election, following claims a billionaire seeking Australian citizenship paid a lobbyist thousands of dollars to meet the then-immigration minister. An investigation, screened Monday by ABC’s Four Corners, claimed Peter Dutton — then immigration minister in the Liberal government — had a one-on-one lunch in 2016 with Chinese property developer Huang Xiangmo. The meeting was purportedly arranged by former Liberal senator Santo Santoro, now a lobbyist to whom Huang is alleged to have paid thousands of dollars. Dutton is alleged to have met with Huang when the businessman was seeking Australian citizenship in 2016, and Dutton was immigration minister. Huang, who local media alleged has ties to China’s Communist Party, was embroiled in an earlier political row. Last year, Australia passed a bill to ban foreign political donations after revelations of Huang’s connections to a politician from the major opposition party, Labor. 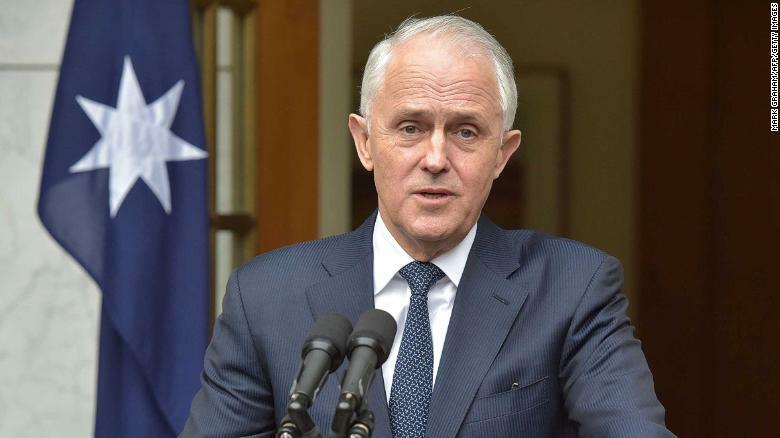 Monday’s report comes as Australia gears up for a federal election expected in May, with opinion polls suggesting the Liberal-led coalition government will be defeated. Dutton, who is now home affairs minister, dismissed allegations of interference. “I have never received a dollar from this individual,” he told reporters Tuesday. CNN has reached out to the office of Santoro for further comment. Yet in a country which has had five leaders in a decade, analysts say the latest revelation will only fuel public wariness of politicians — even though it will likely not be a vote-changer. It’s not the first time Australia has been rocked by alleged links between a Chinese businessman and a politician — or the first time billionaire Huang has been in the headlines. In 2017, Labor politician Sam Dastyari quit the Senate after revelations about his own connections to Huang, including his alerting the businessman that he might be under state surveillance. Earlier this year, Huang called Australia “a giant baby” after it revoked his permanent residency status, in part due to his alleged ties to the Chinese government. “Peter Dutton has a lot to explain about this,” Turnbull said. “He is supposed to be the minister responsible for the domestic security of Australia. He’s supposed to be the minister responsible for ensuring that our politics is not influenced by foreign actors. He also said current Prime Minister Scott Morrison urgently needed to address the allegations. “The buck stops with him,” Turnbull added. In the wake of the earlier revelations about Huang, Australia last year passed legislation banning foreigners from donating to political campaigns, and stopping foreign powers from interfering in policy-making. The law drew bipartisan support. Even so, neither party is eager to make the latest allegations a hot election topic. He said the political agenda during an election tended to be set by the two major parties, and neither would gain from discussing Chinese political influence.